The First Holy Communion Programme runs at SHJM, Charlton Kings each year between October and June. The programme is open to ALL children who will be 8 (or above) and who have been baptised and attend mass regularly. Parents, as primary catechists, will be asked to attend some of the sessions, to ensure that they can help their children, to understand more clearly what is happening within the mass. They will also have an opportunity to reflect and share their faith and their questions, a sentiment Pope Francis and Bishop Declan has reiterated many times. 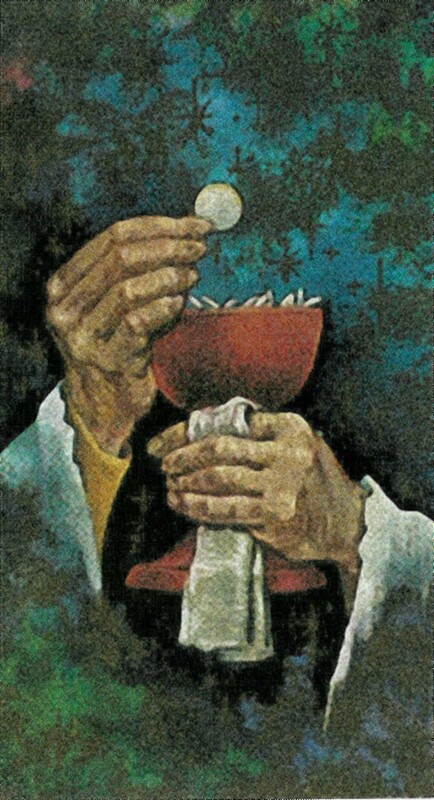 The First Communion Programme as with ALL sacramental programmes should be central to the life of the parish/deanery and taking place within the church communities. As we are part of the Diocese of Clifton, we are called to work more closely with the parishes within our deanery, which means at times it may be required to attend events at other churches. I would like to thank you in anticipation of your support, co-operation and assistance. I hope that the First Holy Communion Mass will be a memorable one for the children, parents and the parish community.